A vessel of 5,574 gross tons, length 420 ft x beam 54 ft, with one funnel, two masts, single screw, maximum speed 11 knots, accommodation for only twelve passengers. It was completed in December 1893 by R. & W. Hawthorn Leslie, Hebburn-on-Tyne, for the Elderslie SS Co. (Turnbull, Martin & Co). 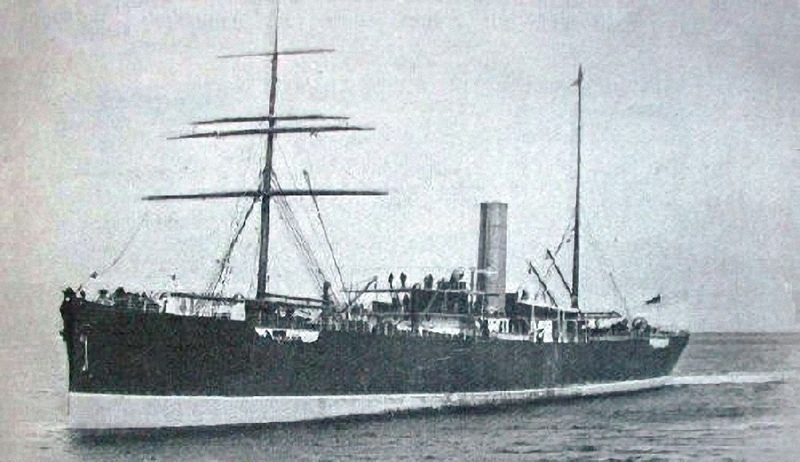 In 1899, the SS Perthshire went missing on a passage from Sydney to Wellington, but was found by the Union SS Company of New Zealand ship, SS Talune, and on 19th June 1899, it was towed back to Sydney, having lost her tailshaft. 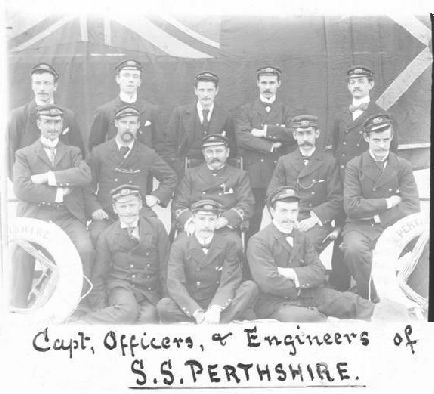 In 1910, the SS Perthshire was transferred to the Scottish Shire Line Ltd. In 1915, it was requisitioned by the Admiralty as a frozen meat carrier. In 1919, it was designated HMS Perthshire as a fleet supply ship. In 1929, it was set on the China Station and painted white with a yellow funnel. She was decommissioned and scrapped in 1932. She was originally built for the Australian emigrant and meat trade and was specially fitted for the carriage of frozen meat. When new, she inaugurated a new monthly service from the U.K. to New Zealand. Together with 13 other elderly vessels, she was acquired by the Admiralty to become Dummy Battleships during WW1. 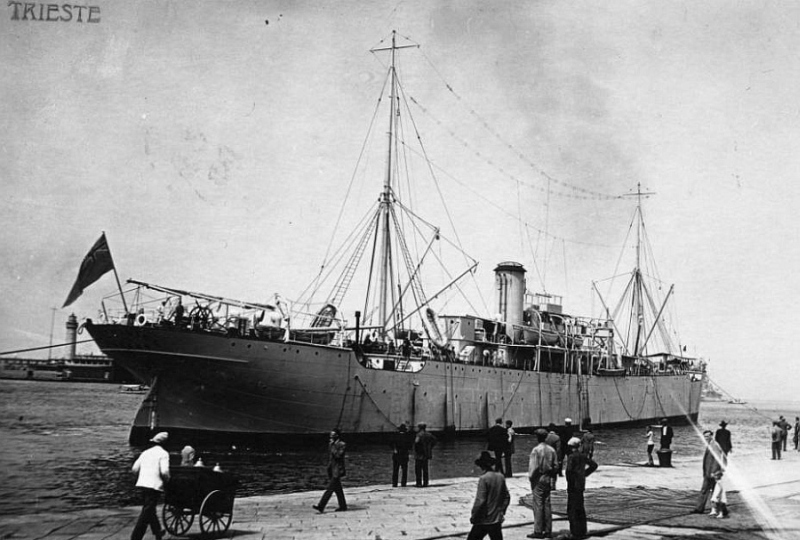 She also served as a water tanker and an oiler before becoming the Mediterranean Fleet’s Supply Ship. During her career she thus served under the Red, White and Blue Ensigns. 26 April 1899 she sailed Sydney bound for Bluff, New Zealand and disappeared. 28 April 1899 she broke her tailshaft 391 miles from Sydney and drifted for 42 days, covering some 1400 miles in the process, before temporary repairs were effected on 10 June when she got going again at a speed of 4 knots.